See if you can spot Drax the Destroyer, who delivered some of the best one-liners in Avengers: Infinity War that fans will never ever forget! 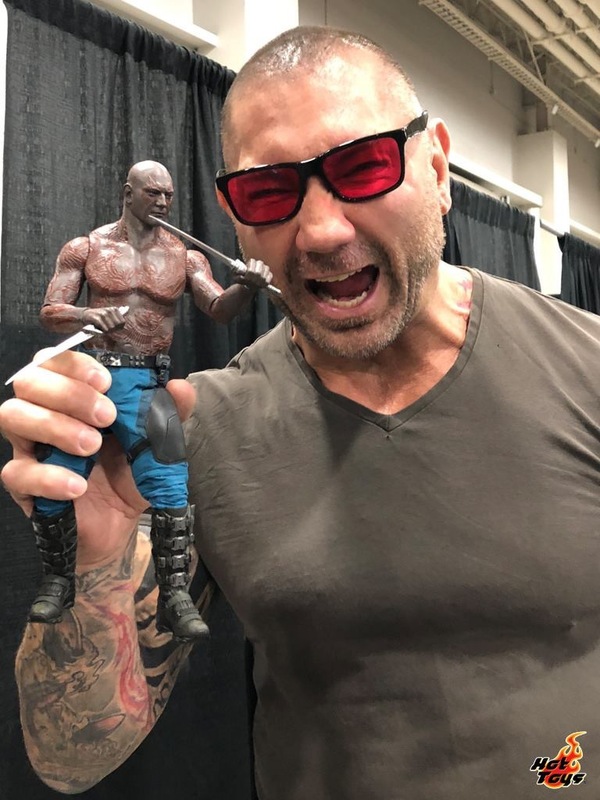 Hot Toys’ Team is very glad to share with Dave Bautista the highly-detailed prototype of Drax 1/6th scale collectible figure inspired by the latest Avengers movie. 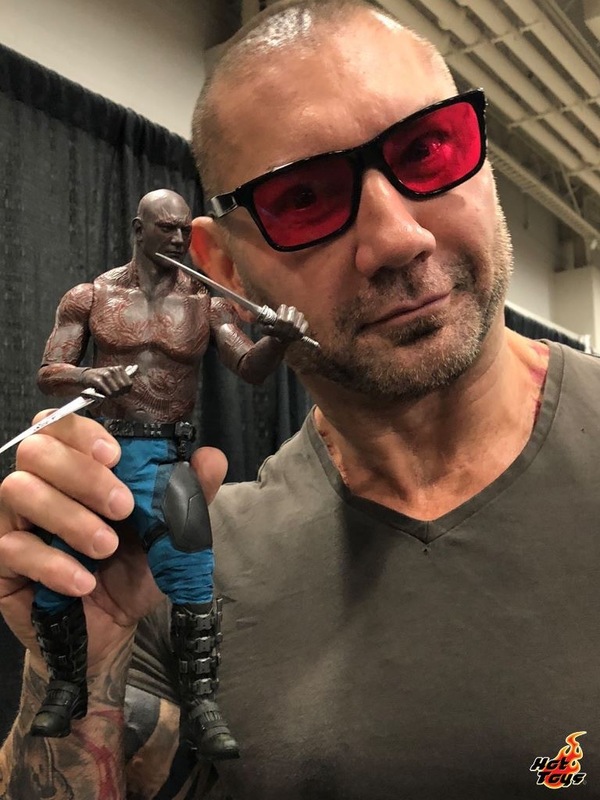 Thank you very much for your appreciation of Hot Toys’ creation!